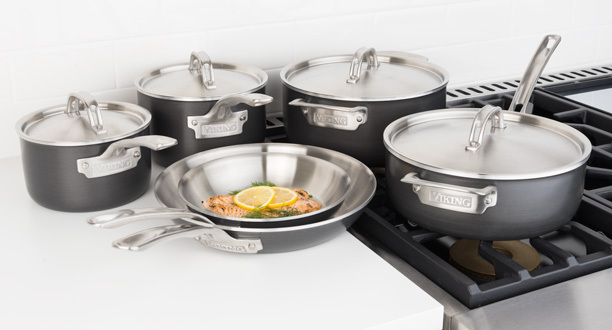 Clipper Corporation, the exclusive licensee for Viking® Housewares, is proud to introduce our entirely new Viking culinary line. 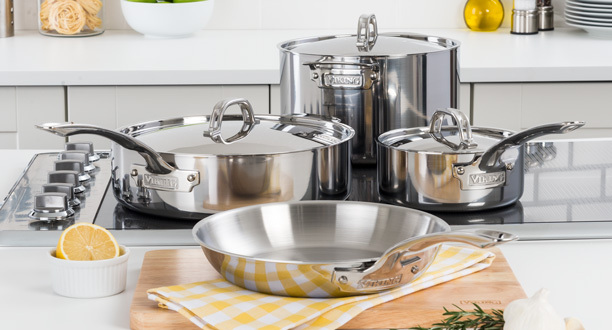 Focused on commercial quality professional cookware, our comprehensive assortment includes cutlery, bakeware, kitchen accessories and more for the home. 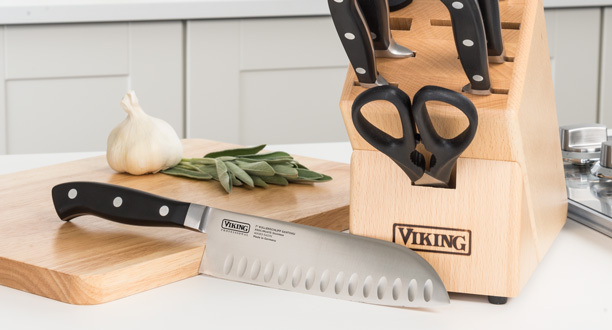 Contact us today to find out more about the exciting opportunities ahead with the Viking culinary program by calling 877.533.2547 or emailing us at vikingsales@clippercorp.com. For media inquiries and press materials, please email Molly Antos at mjantos@gmail.com or call 847.848.2090. 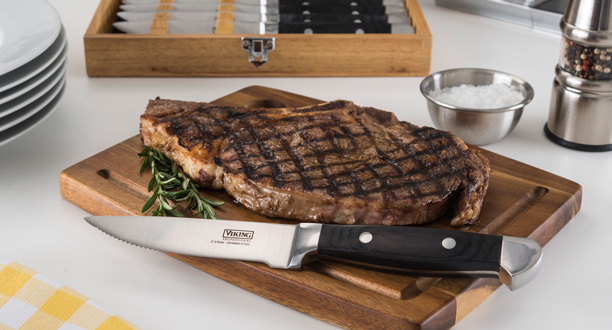 Download the current 2016 Viking Culinary Products Catalog in PDF format here. 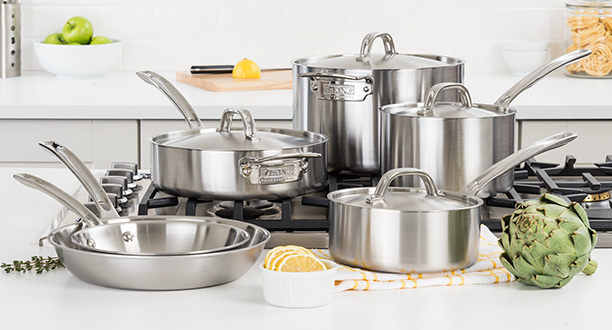 5-Ply construction maximizes heat transfer and reduces energy usage by leveraging the conductivity of an aluminum core sandwiched between a stainless steel interior and a hard anodized aluminum exterior. 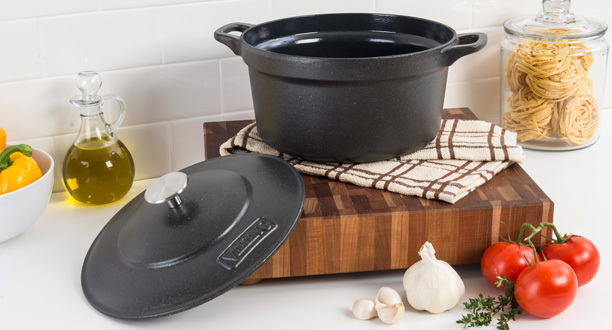 This combination of materials enables Viking cookware to deliver superior cooking performance. 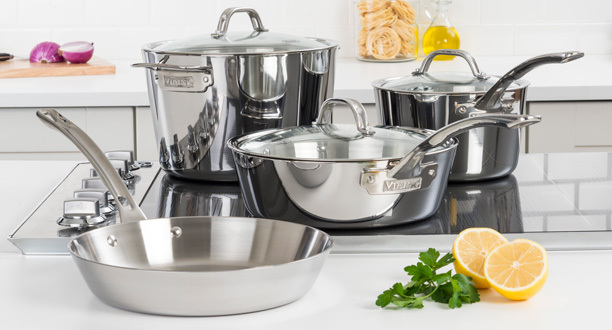 Each layer of metal is carefully selected for optimum performance and efficiency - stainless steel for durability and aluminum for conductivity. 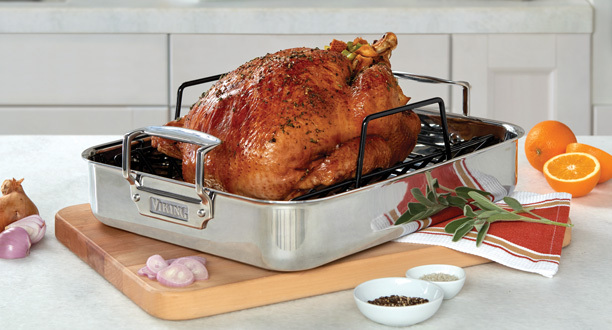 Roast a perfect chicken or turkey up to 14 pounds around holidays in the roaster. Or make a weekday roast for the family with scalloped potatoes. 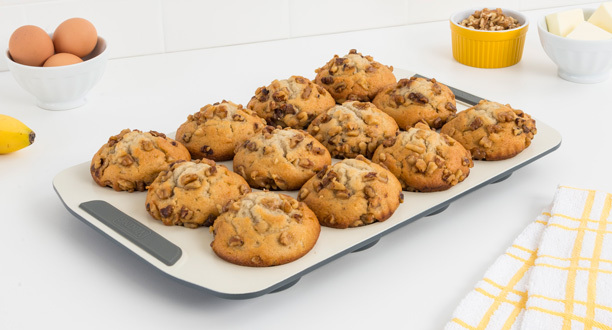 Or just use it as an elegant serving dish for a casserole you are bringing to a potluck dinner. 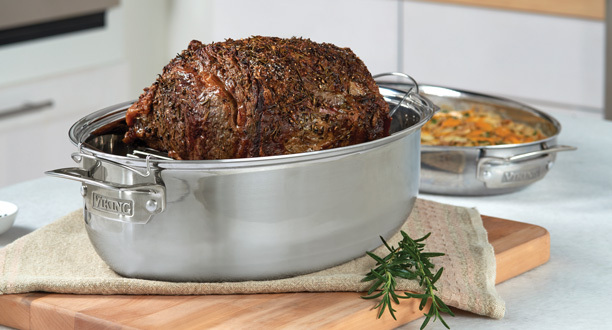 Our Viking Oval Roaster is an incredibly versatile cooking tool to make the home cook's life just a little bit easier.